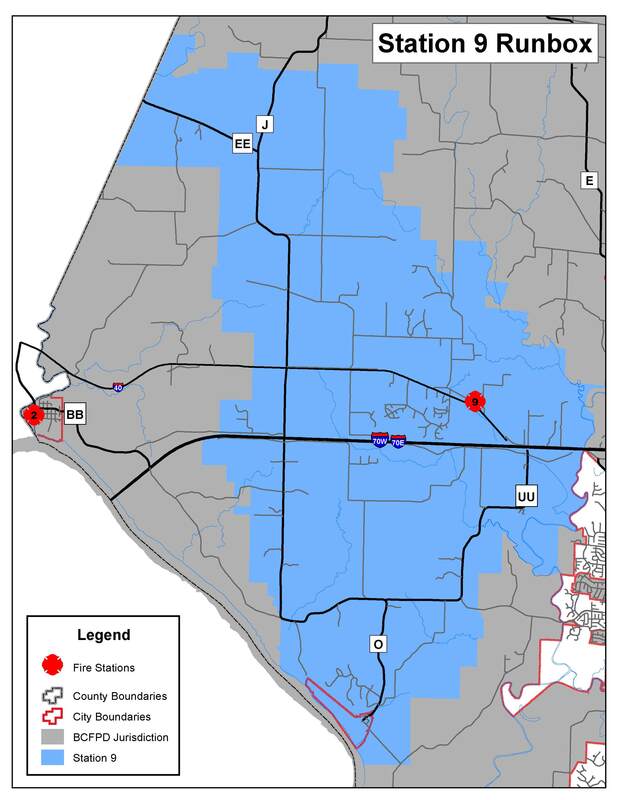 Station 9 provides coverage to the western portions of Boone County and Interstate 70. A 1942 pumper was re-positioned from Station 2 to the residence of Firefighter John Wilke, on Country Hill Rd. in 1978 pending property acquisition for construction of Station 9. It was parked in the street, with the pump drained during winter months. Cold weather response was challenging as it required finding a hydrant (they were few and far between in that era) and filling the tank for response. Additionally, the engine did not have a heater, so it was not unusual to use an ice scraper on the INSIDE of the windshield. We did make one structural save while the truck was based at the residence and this was to a working room and contents fire on a cul de sac in Trails West Subdivision. The house remains standing to this date. Land was acquired at the present Station 9 location for construction of a pole supported pre-engineered building. A large portion of the construction labor was performed by District volunteers. As a side note, the west bay of the two bay station included a 12″ thick concrete floor, designed to support the District’s 5000 gallon tractor trailer tanker unit. Residence occupancies were attempted in the station attic, but proved impractical. Two resident’s rooms were created by converting what was planned as a day room on the main floor. In 1978 the District acquired a tandem axle,”3-D” brand, 2000 gallon tanker to replace an International Harvester chassis and 750 gallon MFA Oil Co. tank that was operating under designation Tanker 105. The existing Tanker 105 was sent to Freeburg, Illinois and converted into a PTO pump equipped “middy-pumper” that would serve as Engine 901, until arrival of both a new engine and tanker from Smeal Fire Apparatus Co. in late 1982. The District design of the IH truck included the pump control panel being placed on the passenger side of the truck, to protect the pump operator from traffic when operating on Interstate 70 incidents. 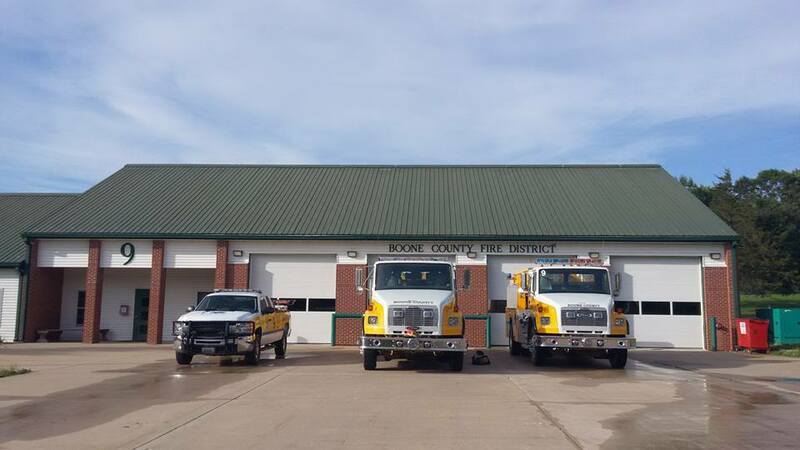 The original Station 9 structure was replaced with the existing 4 bay fire station in 2000.